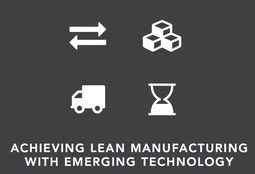 In 15 pages, learn how to eliminate waste from process to create lean factories of the future. "Movement of materials in a manufacturing setting must accomplish three core objectives in order to be lean: arrive at the required locations when needed, avoid creating congestion in the aisles, and minimize the risk of accident and injury." Robotics in manufacturing has helped companies align with lean manufacturing principles by eliminating muda (or waste) from processes. However, eliminating all material transport waste has been impossible until now. Mainstay options won't achieve lean productivity, but a new generation of self-driving vehicles (SDVs) will. This eBook will teach you how SDVs and lean manufacturing come together to create interconnected and highly efficient manufacturing 4.0.